I wish you would consider doing Wickenby (EGNW) my local airfield, located in Lincolnshire, just East of RAF Scampton, brilliant for local GA flying! with a tremendous history! Edited by anfield ace, 16 May 2014 - 03:38 pm. It would be nice to see this go ahead as its a decent sized airport and has no limits on aircraft that it can take, but its in the hands of the sim720 guys to decide. Edited by Christopher Low, 16 November 2014 - 08:35 am. I think Southend is on the list to be developed by UK2000 somewhere this year. My suggestion would be EGAE Derry (or Londonderry as it is sometimes called) in Northern Ireland. Nobody has done this airport yet, but it's a nice place. It has several scheduled flights by Ryanair and some summer charters by Thomson Airways and furthermore a lot of GA traffic. What also makes this airport special is the railway just in front of the runway. If an airliner is landing or taking off, the train should wait for it. If a GA aircraft is landing or taking off, it should abort or go around if a train is passing. Edited by PatrickZ, 11 February 2015 - 08:52 am. Just to say Southend is a no go at the minute as they are still doing upgrades to the airport and the ground imagery that we can purchase is from before all the upgrades started. 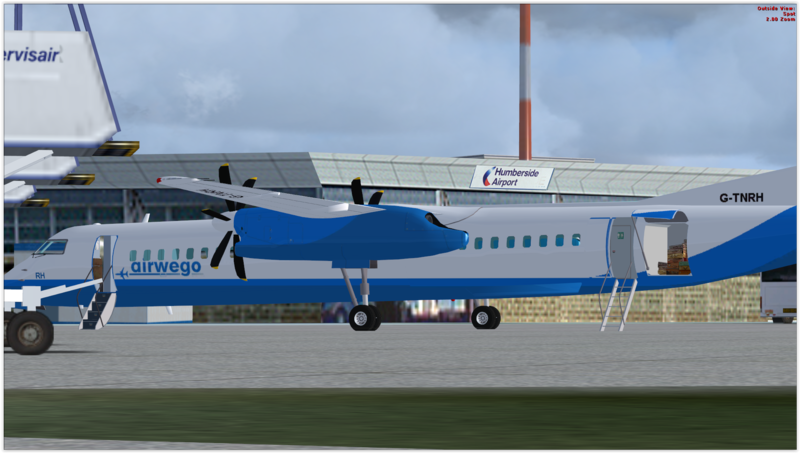 Hello everyone, I'm new to SIM720, having just bought the wonderful Oban and Inverness airports as a post-Christmas treat for myself. I love both these products and have been doing most of my recent flying in and out of them (though I'm still hopeless at landing on runway 19 at Oban). Without a doubt I will be adding Stornoway and Caernafron to my sim very soon too. Just a wee suggestion for a future airport - how about Dundee (EGPN)? Dramatic waterfront location overshadowed by the historic Tay Bridge, lots of interesting buildings and terrain nearby. Maybe a twin pack with nearby former RAF Leuchars (EGQL)? Thanks Andy and great to hear your enjoying the airports, I can't do 19 either. Dundee? we will have a look. I have mentioned this airport before, and I am aware that photographic base images are expensive from the Republic of Ireland. However, I would love to see a super detailed version of EINN Shannon. The EireSim version is a bit dated now, and it does not have a photo base image (which is absolutely essential for flightsim airports these days). Whilst it may not be quite as important as it used to be, EINN Shannon is still a sort of "stepping stone" between Europe and the USA. It has a long runway (10495 feet), which means that it would also be attractive to the long haul flightsim customers, and it is located in a very beautiful area of Ireland (close to the Shannon Estuary). US customs and agriculture inspections have apparently been added, and it is hoped that these will be a big incentive to airlines and business jet operators in the future. This is probably one of the most important airports on my flightsim radar since I decided to expand my flying exploits from the UK into Ireland. I have both volumes of the PlayHorizon VFR GenX photoscenery of the Republic of Ireland installed (together with Aerosoft Dublin and EireSim Cork), and EINN Shannon would be the icing on the cake as far as large Irish airports are concerned. Interesting suggestions here. I've got one more. I'm certainly not a fan of "FS only exists in the US", and I'm looking forward for several further European and also Latin American airports being developed. But one more US airport would certainly fit very well into your profile: Van Nuys, CA - a very important GA airport in real life which would fit very well to McClellan, Catalina, Santa Barbara, ORBX' Palm Springs, LatinVFR's San Diego area and of course for the upcoming SoCal region by ORBX. One airport that is overlooked is KPDX. The Portland airport needs a redo for FSX. Gary Summons has just posted details of his "to do" list over on the UK2000 forum. Based on this, I would say that the two large UK airports that are the most important to consider for SIM720 are EGTE Exeter (way down Gary's list), and EGNV Durham Tees Valley (not on Gary's list at all). Edited by Christopher Low, 27 February 2015 - 11:07 am. Edited by VoltageAviation, 27 February 2015 - 02:43 pm. I would like to see Humberside / EGNJ on the "todo" list. There is a old version as part of the UK2000 VFR Airfields package but it is several years old and quite possibly out of date. Previous freeware versions are fondly remembered by many at Hovercontrol as one of their members created versions of the airport from FS98 through to FS2004. On a more selfish note my VA flies from Humberside and I'd be pretty sure that there would be me and twenty other pilots scrambling for the virtual checkout on release of EGNJ! Edited by lionwing, 20 April 2015 - 04:00 pm.